A boyscreams in fear as he is measured by doctors to assess his health. 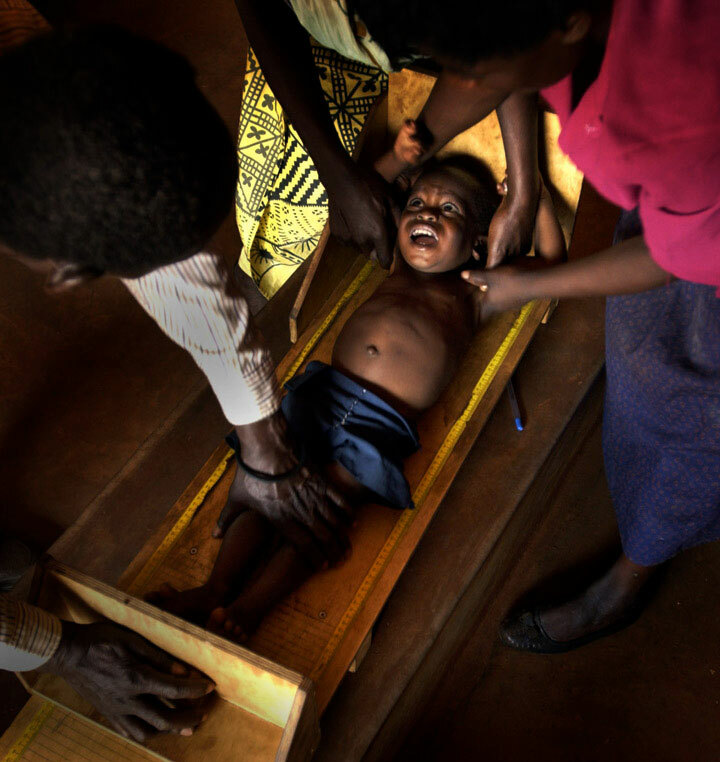 In many African cultures, the only time a person is measured is when it is for a coffin after their death. Parents had to be reassured by staff that doctors were helping their children.